I got my second order of 1/56 armour for my Bolt Action collection from Warlord Games. 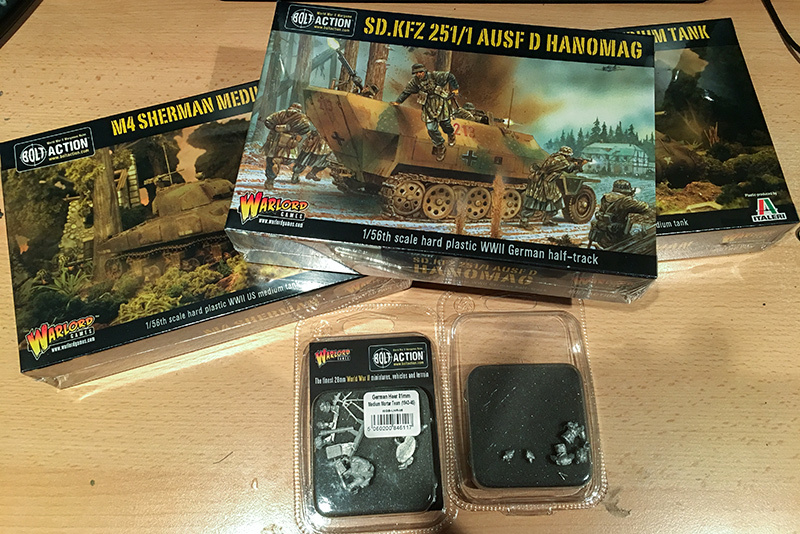 As I am trying to build up both German and American armies – for some solo wargaming – I got myself two Sherman M4s for the Americans and a Hanomag SD. KFZ 251/1 halftrack for the Germans. They had a special offer, I think it was 25% discount. I also got my first non-plastic Germans with an 81mm German mortar team.